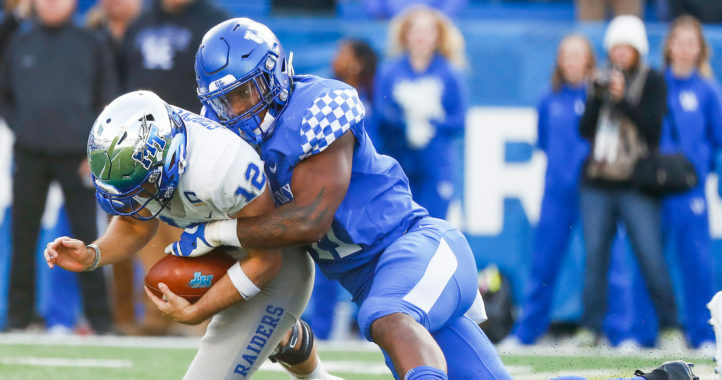 Friday evening, Blue crushed White by a 64-10 count in Kentucky’s annual spring game. Here’s the rub: Spring football games are something near a zero-sum game. A gorgeous deep touchdown could be the mark of an improved passer, a developing wide receiver, or a blown coverage by the secondary. Or all of these things at once. Every good play is also a bad play. But that said, here are 3 things that stood out as positives for the Wildcats on Friday. Again, see above. There were some receivers running past defenders into open space. But Terry Wilson looked sharp, going 10-for-12 for 191 yards, a pair of touchdowns, and a nice 60-yard bomb to sophomore Isaiah Epps. Backup Gunnar Hoak was sharp too — despite splitting time between the Blue and White squads. He finished 23-for-30 for 262 yards and a pair of touchdowns. 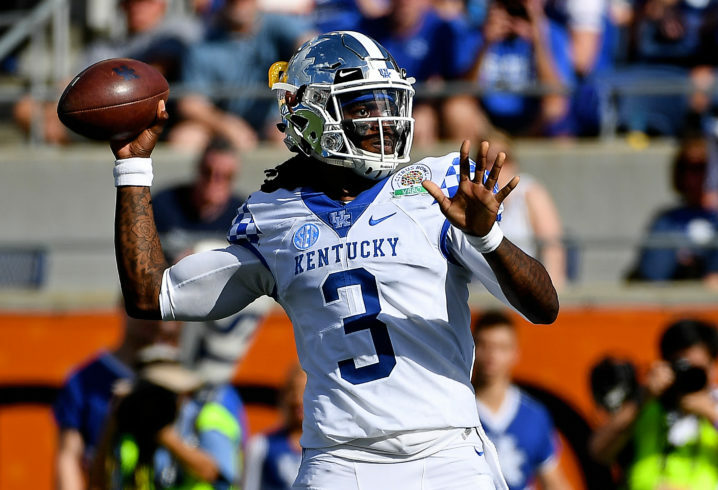 Kentucky’s passers were sharp on short and intermediate throws, and showed a willingness to try to take the off the defense that was missing in 2018. Hopefully, that’s a good sign moving into fall. Yes, Benny Snell was gone. 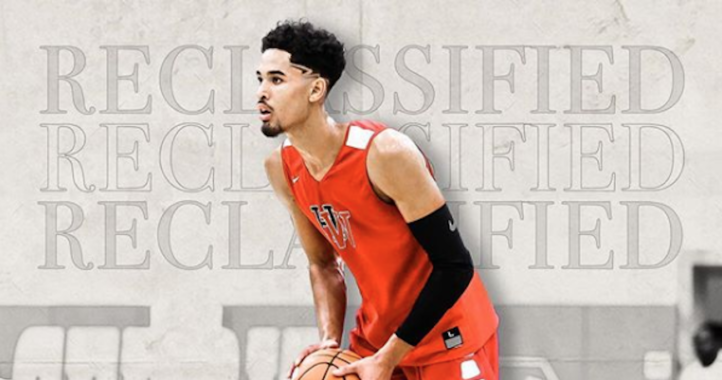 But three UK backs made their cases as the heirs apparent to Snell’s throne in Lexington. Redshirt freshman Kavosiey Smoke went for 132 yards on just 5 carries, with 87 coming on a single run. If smoke was lightning, fellow redshirt frosh Chris Rodriguez was thunder. Rodriguez played almost exclusively on the white team, but still ran physically, gaining 71 yards on 17 carries including the White’s only touchdown. Splitting the difference was junior A.J. Rose, who showed big-play ability on a 42-yard scamper, but also had 3 short touchdown runs in his 11-carry, 86-yard day. During the broadcast, it was mentioned that Mark Stoops had suggested that while UK will lose some inside strength this season, they might have superior big play threats. There was reason to think so Friday. A corollary to the improved passing game was good work by a bevy of receivers. Kentucky will return junior Lynn Bowden, but Kentucky lacks a physical outside target to haul in 50/50 balls. The good news was that several potential targets had big games. Epps finished with 97 yards on 4 catches. Freshman Bryce Oliver was perhaps the biggest surprise of the night, with a couple of highlight-film grabs on his way to 105 yards on 8 catches, spread between his time on both teams. Former Iowa basketball player Ahmad Wagner, 6-6, grabbed a 27-yard touchdown strike. Coming off a season when Kentucky absolutely could not find a big-play receiver to go with Bowden, there were several likely suspects in evidence. Were you impressed by the defense? How about the crowd turn out? Wouldn’t you think Kroger would have given away free hams to commemorate ‘our version of Stoops” Coach of the Year Award? And with the head coach reminding us that he’s never regressed in wins from season to season, practically guaranteeing us 10 wins this season, I would think the stadium would have been filled, and the recruiting deck over flowing. alot to be optimistic about this upcoming season. Schedule is very manageable, and the offense should be a bit more open this season. Looking forward to watching the cats again this fall! I kept expecting Wilson to break out into the next level. He has the arm and the brains to be a top QB. It seemed like he had trouble getting into a groove because the OC counted on Snell too much. Understandably so, but this year Wilson will be better. Wait and see .